VCOrganizer Tab is designed for Android Tablet (3.0+) for secure storage of important notes, tasks, contacts and events on your tablet. 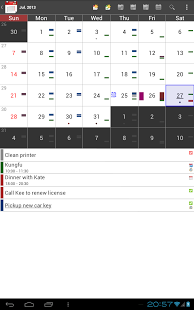 VCOrganizer TabLite is a 14 days trial version. The Lite version allows you to test the Outlook sync with WiFi or Bluetooth. It also allows you to have a look and feel of VCOrganizer Tab. 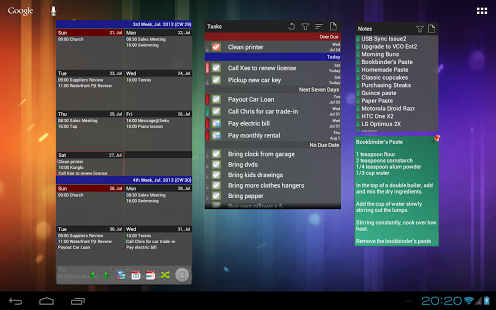 – Tasks(scrollable), support multiple task Widgets on home screen and filter tasks by category. 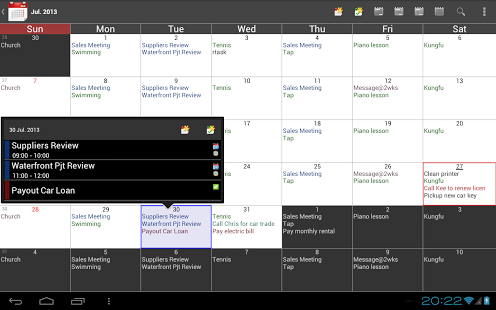 – Events(scrollable), support multiple event Widgets on home screen, show events, tasks and contacts reminder, and filter events by category. – You need to purchase Bluetooth extension module to enable the Bluetooth Sync, please search VCO-BluetoothExt from Market. – You need to purchase USB extension module to enable the USB Sync.